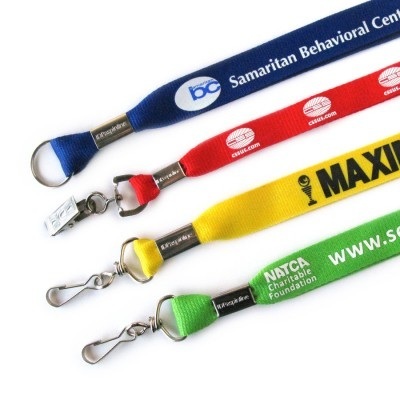 Personalized lanyards, custom printed for your organization in many different colors, sizes and optional attachments. 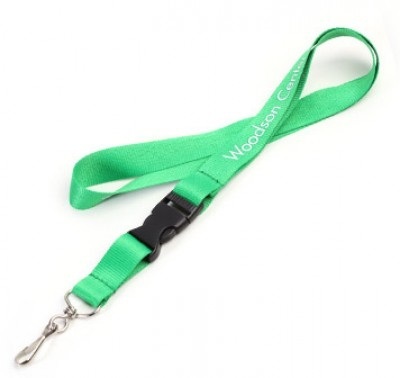 Standard lanyard comes with a choice of 4 attachments included in the price plus a distinctive crimp (premium attachments also available for an additional charge). 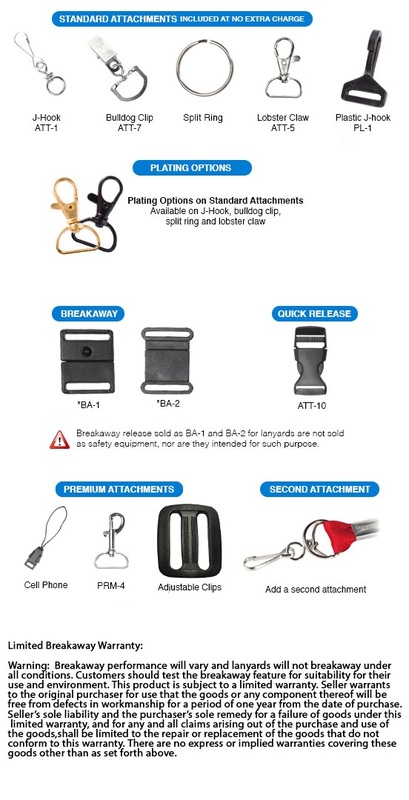 Add a safety breakaway (BA-1 or BA-2 see picture below) positioned at the back of the neck (additional charges apply). An additional $50 non-refundable artwork charge per imprint color per side must be paid before work can begin. Contact us for best prices on lanyards. A lanyard is a rope or cord often worn around the neck or wrist to carry something. Usually it is used where there is a risk of losing the object or to ensure it is visible at all times. Aboard ship, it may refer to a piece of rigging used to secure objects. Alternatively it is a length of cord or wire with a hook at the end used to fire an artillery piece. Lanyards are widely used with small electronic devices such as cameras, MP3 players and USB flash drives to prevent loss or dropping. Electronics designed to take a lanyard usually have a small through-hole built into a corner or edge of the case or anchored to the frame of the device; the corresponding lanyard generally has a loop of thread on the end that is attached to that hole with a simple knot, usually a cow hitch. Some earphones incorporate the audio signal into the lanyard, meaning it doubles up as headphone cords as well. The Wii Remote wrist strap is a form of lanyard, keeping the device attached to a player's arm during the often vigorous movements involved in its use. 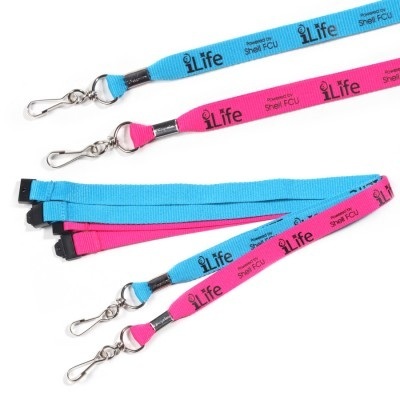 Lanyards are commonly used to display badges, tickets or ID cards for identification where security is required, for example, public places such as hospitals, prisons and some schools or in commercial enterprises as well as public gatherings such as concerts, conventions and trade fairs. 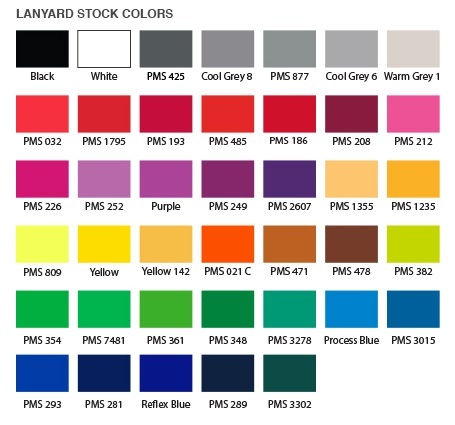 In these cases, lanyards are often customized with the related name and/or logo of the event, business, or organization. 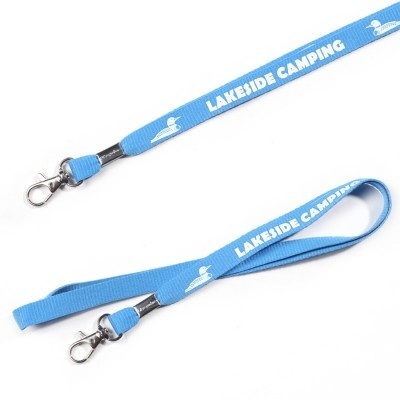 Lanyards can feature a variety of customization techniques including screen-printing, Jacquard loom weaving, heat transfer, and offset printing. 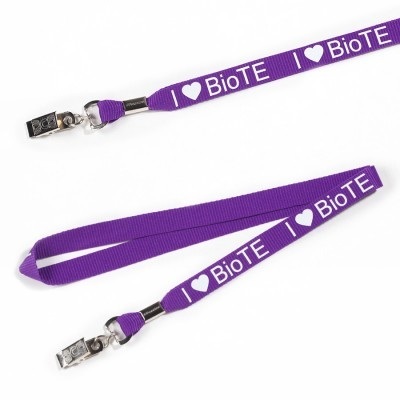 See our special prices on custom printed lanyards.